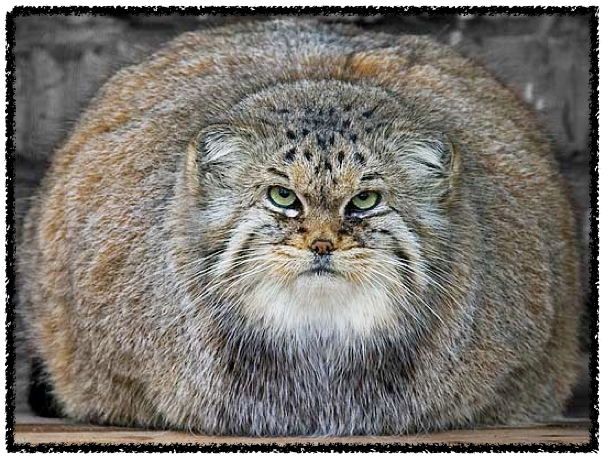 I Spy Animals: Does This Fur Make Me Look Fat? Does This Fur Make Me Look Fat? The answer is... um... yeah. You look fat, kitty. ...you live in some of the coldest places on earth; Mongolia and Siberia. Brrrrr. In Mongolia last winter, temperatures fell to -57 degrees F, killing millions of livestock animals. 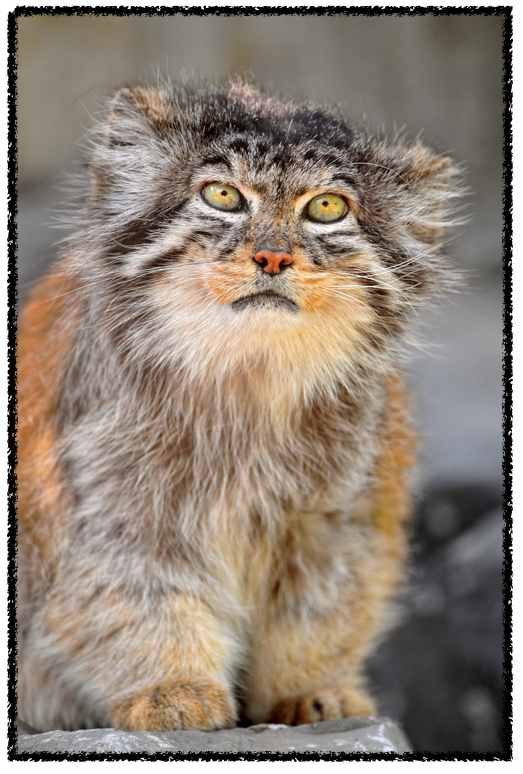 But the cold didn't kill Pallas' cat. Though the size of a house cat, this cat is made for winter. It's stocky, small-eared, and fuzzy. And its tail is thick enough to be a muff, sheltering its face from the icy blasts. 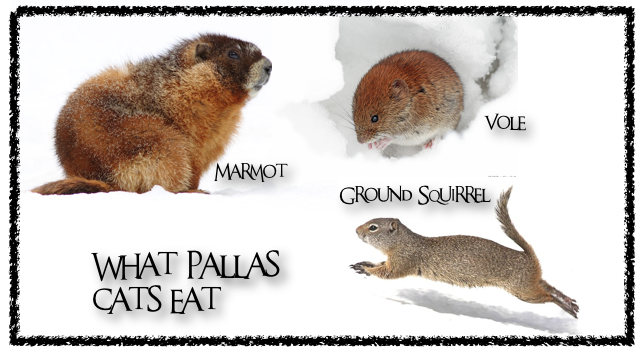 So what does the Pallas' cat find to eat out in those snowy wastelands? But it's a bit strange-looking. I mean, check out this picture... there's a little bit of monkey in that face, don't you think? Can you pinpoint why it doesn't look quite like a cat? And check out the eyes. 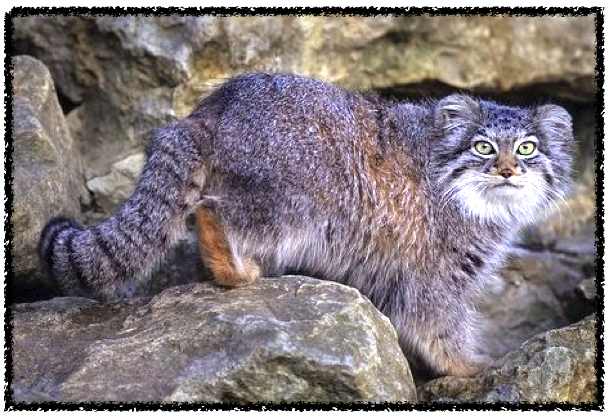 The Pallas' cat's pupils are round, not slits like in a regular cat. And where's that cute little line that goes from the nose down to the mouth? So they don't make good pets...think of the vacuuming! 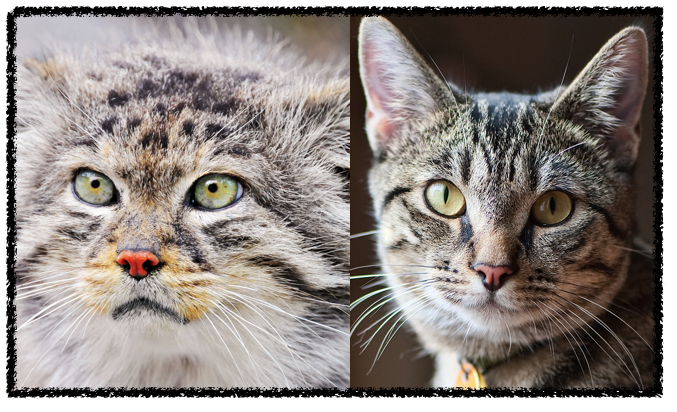 But check out exotic cats that do make good pets here.